PARAMUS, NJ. (2017) – The Goldstein Group, a leading provider of retail real estate services in New Jersey, announced it has arranged a long term lease for an LA Fitness in Lodi New Jersey according to Chuck Lanyard, President of The Goldstein Group. LA Fitness is an American health club chain with over 800 facilities across the United States and Canada. 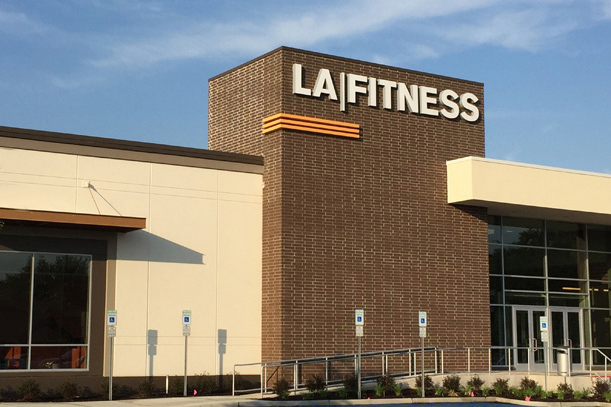 In Lodi, LA Fitness filled a 45,000 sf space on Main Street and Church Street. Neighboring tenants of the location include Shop Rite, TD Bank, 7-Eleven, Subway and Sprint. The site features convenient access to Route 46. “LA Fitness coming to Lodi is a welcome addition to the neighborhood and fills a much needed demand for a quality gym to serve the community.” stated Lanyard. Executive Vice President, Lew Finkelstein, and Vice President, CJ Huter, brokered the transaction on behalf of the landlord, KLS Lodi LLC, while Brian Schuster of Ripco represented the tenant, LA Fitness. For more information on the Retail Brokers Network, visit www.retailbrokersnetwork.com.